I love recipes where you can dump everything in the Crock-Pot, turn it on, and dinner is ready in a few hours! 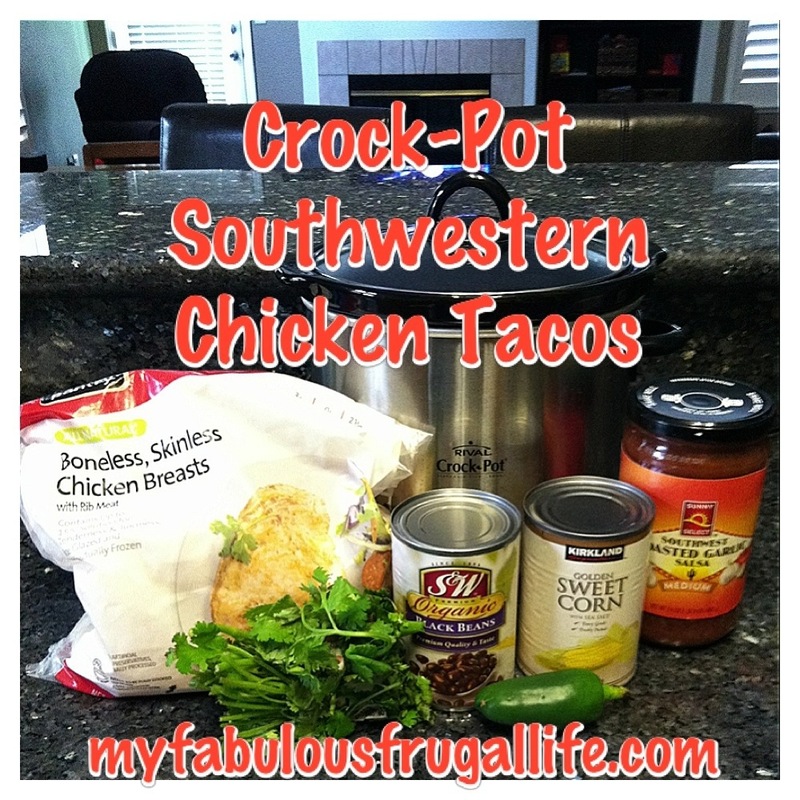 My Southwestern Chicken Tacos is one of those fabulous recipes! Dump everything in your slow cooker and set to low. Cook for 4-6 hours, shred chicken and stir well before serving on warm tortillas with your favorite garnishes. Seriously?! I CAN MAKE THIS!!!! Seriously! YOU can make this! I saw your lazy lasagna recipe and it looks delicious! Similar to mine, I just use the froze cilantro cubes and no corn or jalapenos. Perfect in the summer when you don’t want to heat up the kitchen! I also make taco salads or put over baked potatoes with my filling! Awesome! I love the idea of using the frozen herb cubes!